Call me crazy, but I like using the native Gmail web view. 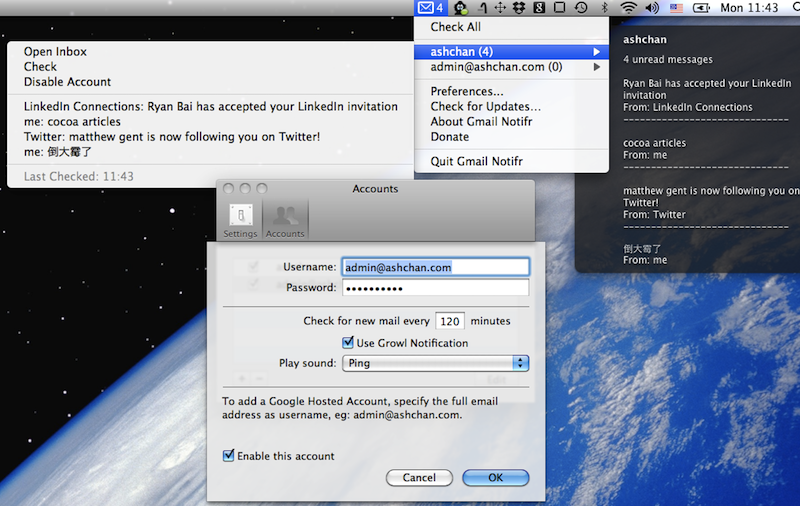 Thanks to a tip from my buddy Bryce Hewett, I started to using an open source tool called Gmail Notifr for Mac OS X. It’s pretty simple and tucks neatly away in your system tray and even supports multiple accounts. If you want to try it out, download it here. Gmail Notifr was originally written in RubyCocoa, then MacRuby, and recently Objective-C.